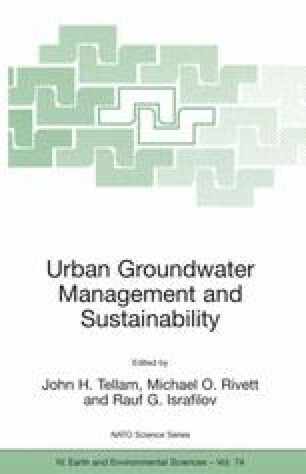 This paper examines the issue of radioactivity within urban groundwater systems in Russia. Since the atomic industry began, the enterprises associated with different elements of the nuclear fuel cycle have become industrially advanced and helped drive the development of satellite cities. However, the groundwater systems of these cities were affected, especially in terms of water balance and quality. Radioactivity as a specific contaminant is a source of concern for both the public and scientists. This paper examines data concerning radioactive pollution produced by nuclear power plants, research reactors, and the Chernobyl accidents. The main conclusion is that radiation pollution is much less of a risk to the health of the Russian population than social and economic factors.